Short sales and Foreclosure homes are common in today’s Arizona luxury real estate market. Therefore, you can find many luxury homes in Scottsdale, Paradise Valley, Carefree and Phoenix that fall into the short sale or foreclosure scenario. 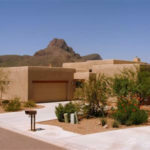 Paradise Valley attracts many luxury home buyers because of its beauty. 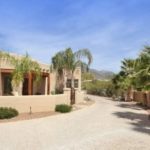 Most of the luxury homes in Paradise Valley AZ reside on large lots with well managed grounds and custom built luxurious homes. Paradise Valley’s landscape has mature trees and plants, making it a very unusually greener area then the surrounding desert cities of Phoenix metro. Of course, numerous home buyers also seek to live in Paradise Valley because of its renowned golf courses and mountainous views. Once immune to the real estate market downturns of having been hit hard by the current down cycle, the luxury market is a great market for investors and buyers of all types to take advantage of. The combination of a depreciating real estate market, nationwide recession and the stock market uncertainty has had a significant impact on the foreclosures even in the Arizona luxury foreclosure housing market. In the past, the price of Arizona luxury homes has dropped dramatically, particularly in the popular Scottsdale and Paradise Valley communities. In some instances, home values have dropped as much as 30%-40%. The key to both buying and selling Arizona luxury property in the current market is understanding the current value of the property you are trying to buy or sell, having the tools to negotiate the best deal possible and understanding how to navigate the complex aspects of bank owned and short sale transactions. MyOwnArizona has experts available to answer your questions 7 days a week and a professional team of specialists ready to assist you with your Arizona Luxury Bank Home requirements. Please contact us at (480) 382-9191 or info@MyOwnArizona.com for a complete list of Paradise Valley luxury foreclosure homes.